The Welcome Swallow is metallic blue-black above, light grey below on the breast and belly, and rust on the forehead, throat and upper breast. It has a long forked tail, with a row of white spots on the individual feathers. The outer tail feathers (streamers) are slightly shorter in the female. Young Welcome Swallows are buffy white, instead of rusty, on the forehead and throat, and have shorter tail streamers. The Barn Swallow is an uncommon visitor to parts of northern Australia. It can be distinguished from the Welcome Swallow by its black breast band and white underparts. Other swallow species include the White-backed Swallow, which has a white back and grey white head, and the Red-rumped Swallow, which is a rare visitor to Australia's north and has a red rump and streaked, chestnut underparts. 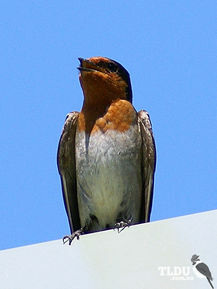 Swallows are also confused with the martins, of which there are two species in Australia: the Fairy Martin and the Tree Martin. Both species have shorter, more square tails, and white to buff rumps. Swifts are similar in habits and appearance to the swallows, but have longer and more curved wings and differences in their flight. Swifts are rarely seen landing, while swallows are a common sight on wires, posts and other suitable perches. Welcome Swallows are widespread in Australia, but are less common in the far north than in the south. Welcome Swallows visit a wide variety of habitats with the exception of the more heavily forested regions and drier inland areas. Welcome Swallows are partially migratory, moving around in response to food availability. Welcome Swallows feed on a wide variety on insects. They catch prey in flight, using their acrobatic flying skills. The prey is guided into the bird's wide, open mouth with the help of short rictal bristles bordering the bill. These bristles also help protect the bird's eye. 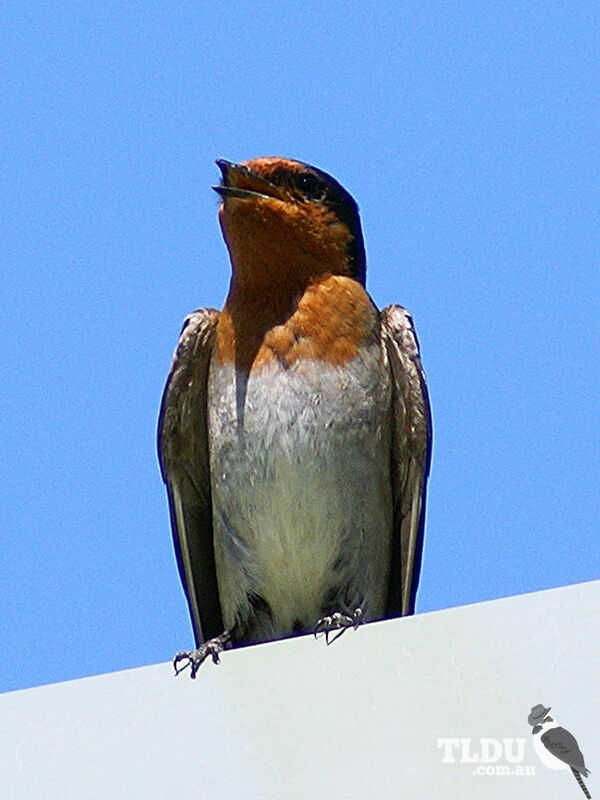 Where insects are in large supply, Welcome Swallows feed in large flocks. Welcome Swallows readily breed close to human habitation. The nest is an open cup of mud and grass, made by both sexes, and is attached to a suitable structure, such as a vertical rock wall or building. The nest is lined with feathers and fur. The female alone incubates the eggs but the young are fed by both parents. Often two broods are raised in a season.